Discover 122 all-new, large-print word search puzzles in the next volume of the Everything series! 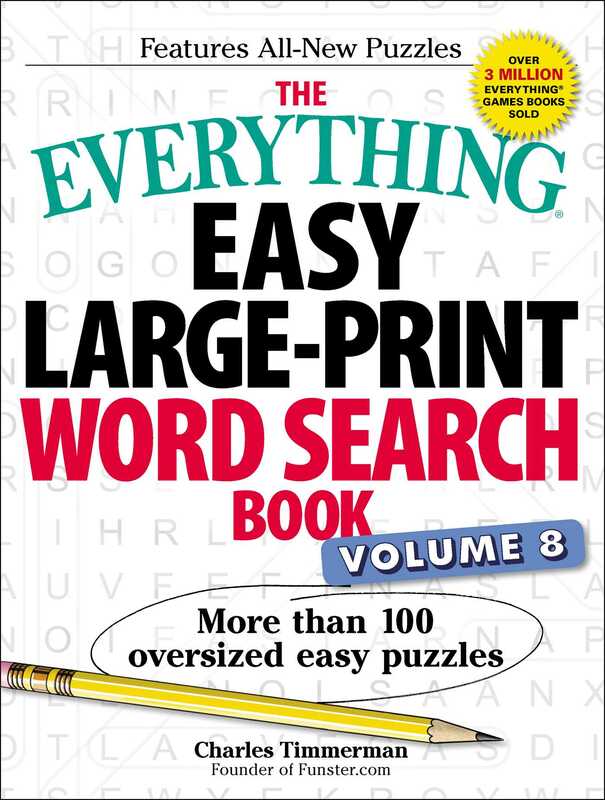 This puzzle book is a must-have for the word-search solver! Readers of all ages will enjoy these quick, fun puzzles without straining their eyes. This volume of brand-new puzzles will delight fans who can’t get enough of these bestselling word searches.